We are a leading importer, trader, manufacturer and distributor of the most diverse range of Valves & Cylinders. 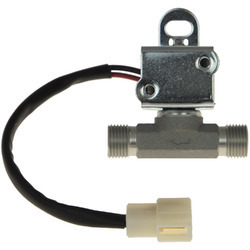 The range highly acclaimed and asked for, is made up of the finest Solenoid Valves, Externally Controlled Valves and Combustion Solenoid Valves. The offered products are made available in various specifications to choose from. Our customers can purchase the offered products from us at nominal prices. With more than 40 years` experience in custom-made valve solutions we developed a wide product range of solenoid valves and pressure controlled valves covering nearly all industries, mainly high pressure industries, high temperature industries, water technology and many more. However, our main focus applies to custom-made valve solutions. Together with our customers we develop system solutions and engineer them. 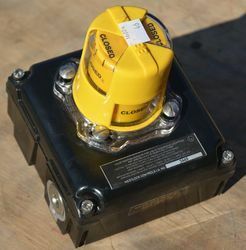 The GSR engineers can select the suitable valve from our extensive add-on system. 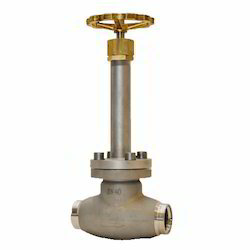 Furthermore, we have over 1000 valve options like sealed plunger, position indicator, control units, hand levers, etc..
Additionally, we are specialized in the development and production of valves for high pressure applications. In this special field we can look back on big know-how and experience. Our products are made of high-class materials and do have the latest block solutions for CNG and hydrogen. 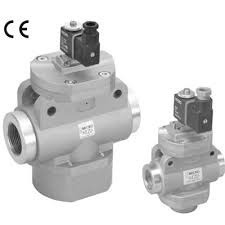 All our solenoid valves, whether they are designed as pilot operated, force pilot operated or direct acting valves, are available with explosion proof according to ATEX. Also for the North-American market our coils have the FM-approval and the UL-approval. You need innovative valve technology? Contact us. MICRO automation produces systems, components and solutions for the automation of industrial processes. Operates in the field of mechatronics, integrating mechanical, electronic and computing. The products and services are destined to solve processes or tasks automatically: in manufacture of goods, automation of lines, update of facilities, replacement of tools and training of technical personnel. Five decades of research and ongoing development, growing up with our customers and always having excellence as our main purpose, we are an industrial and service organization with a high and innovative response capacity. Nowadays, with a well-known leadership and an outstanding international presence, the purpose of integration with our customers in the search for better solutions remains the same, with the contribution of technology and production capacity. Since 1960 ODE S.r.l. 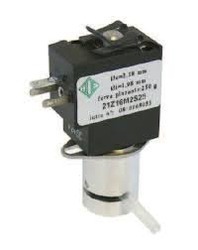 (Officine di Esino Lario) has been providing customized designs and production of solenoid valves for manufacturers and system integrator following our fundamental principles of quality, adaptability and reliability, including excellent post sale service. 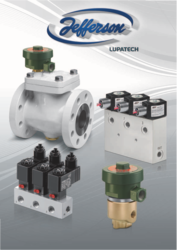 Our 50 years of experience in solenoid valves allows us to push towards the devoelopment of new "leading edge" designs to satisfy several sectors including vending and coffee machine manufacturing, car wash manufacturing, automation, medical, food and beverage, water control and chemical. ODE’s valves products are completely "Made in Italy" thanks to ODE’s joining of the Defond group, which has provided investments in specialized human resources and multinational technologies. 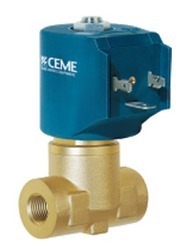 CEME S.P.A. was founded in 1974 and at the beginning it produced only solenoid valves for industry. During the years Ceme has improved its products and their applications, it has developed the product line by a wider range of components for fluids control: Steam, Water, Gas, Air. New types of solenoid valves, vibration and rotative pumps, flow control systems, pressure switches and safety valves have been developed. Nowadays Ceme S.P.A. is composed of three different business units and each of the them deals in a definite market even though they all belong to the same great company . The Appliances Division develops and produces components for household appliances and in particular for steam station and cleaning machines, as well as for H.V.A.C. The Industrial Division develops and produces all over the world, through a network of 80 distributors, solenoid valves and pumps for 50 different industrial and professional applications. The Coffee Division develops and produces vibration pumps and it has become the leader in this market by the acquisition of Ulka S.p.A.
We guarantee top quality in system construction and offer solutions for special customer applications in cylinders, rotary actuators, in system engineering, hydropneumatics and in pressure driers. 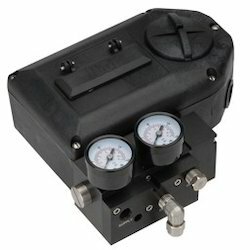 Riba Pneumatic offers Proportional Regulators for flow, pressure of gases/air applications & positioners. Drumag Fluidtechnik offers wide range of hydraulic cylinders, air motors, hydro pneumatic systems, valves, fittings etc. 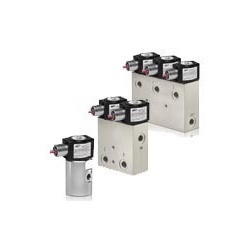 Jefferson range of Solenoid Valves for Refrigeration & Air-Conditioning Services. Valves for Ammonia, Fluorinated Refrigerants, Ecological Refrigerants: HFC 134A-404A-507. For Liquid lines, vapor suction, hot gas applications. WE can offer different type of end connections with Flare connections, For Soldering & Welding Flanges etc. 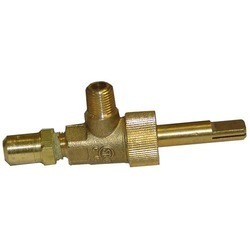 The valves and level switches which are included in this catalog have been specifically designed to handle and control the current refrigerants, including ecological refrigerants, in the different states of aggregation, to apply them in the multiple systems of automatic control of refrigeration. No withstanding, they can be used in other applications and with other fluids which are not necessarily refrigerants. 1330 / 2030, 1332, 1388 and 2088 Series valves are especially designed to comply with the Resolutions, Regulations and Recommendations for the use of Natural Gas in Industrial Installations. They may be used with other gases, such as GLP, propane, manufactured gas, etc., as well as with air or any other noncombustible neutral gas. Maximum operating pressure for normally closed 1330/2030 series diaphragm valves, when applied as safety valves in natural gas burners, is 0.160 kg/cm2. For normally open valves, it’s 0.5 kg/cm2 with regular diaphragm and 2 kg/cm2 with reinforced diaphragm. 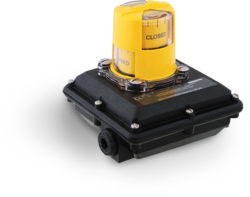 1330 / 2030 Series Normally Closed diaphragm valves are optionally provided with adjustable slow openings up to 10 sec. adjustable opening percentage, and the second is time adjustable up to > 20 seconds. 1330 / 2030, 1332, 1388 and 2088 Series are optionally provided with microcontacts for proof of closed valve. 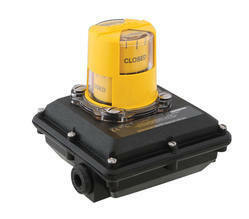 2088 Series is provided with a power-rectier-controller that makes it possible for the valve to open at max. coil power, and after 90 sec. to come down to 16% of nominal value, that is, starting at 50 W and down to 8 W after 90 sec. The benets over conventional systems are, safe opening, low power consumption, low working temperature and longer coil life. 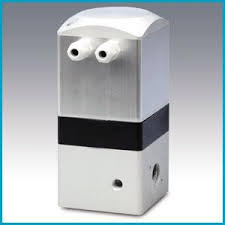 Our range of products include condensate removal timer.